Lloyds Business Brokers has completed the sale of a highly successful and much sought after large format Digital Printing company with a Blue Chip customer base. Established 35 years ago, Colorcorp Pty Ltd is a top Australian printing company based in Brisbane specialises in PRINTING and THINKING big! Experts in large format digital printing the company provides temporary signage to the crème de la crème of the retail sector of the economy. Major long-term accounts include Coca-Cola, Aldi, Puma, Mercedes Benz, Isuzu, Cleanaway, Woolworths, Tip Top and Volvo - the list is long and impressive. Typical products include corflute signage, vinyl decals, floor graphics, bus sides, banners, vending solutions, decals, metal signs, backlit print, fleet graphics and many other miscellaneous products including a lucrative niche in the transport and trucking industry. The digital print market makes up about 5% of the total printing industry in Australia. The other 95% of the print industry is serviced by off-set printers, label printers, cardboard/box printers and newspapers. According to the Australian Bureau of Statistics, the total print industry is worth $8.5billion and is the fourth largest manufacturing industry in Australia. The temporary signage digital market is estimated to be worth about $400 million in Australia. Queensland is worth approximately 10% of the entire industry turnover, being approximately $40 million. Since temporary signage printing depends on the retail sector of the economy, the industry follows the retail business cycle. The business cyclic in nature with the largest volumes being printed in the lead up to Christmas, Easter and end of financial year sales. The second and fourth quarter of each financial year are the quarters which generate the most revenue. 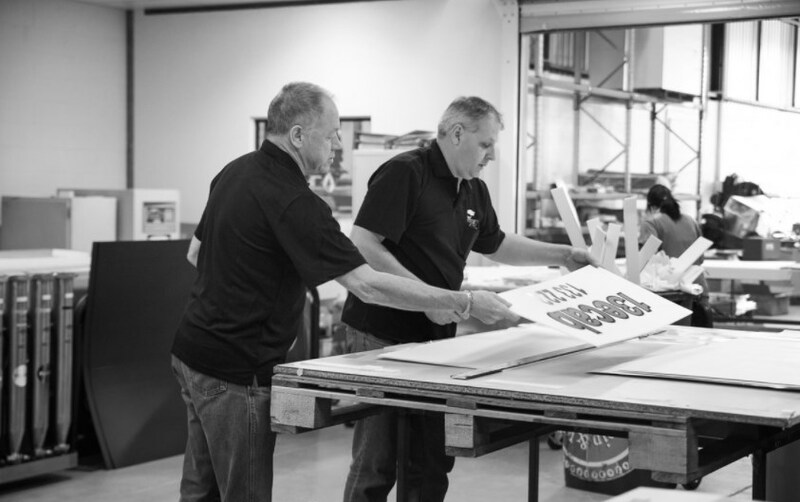 The manufacture of temporary signage industry as changed over the past decade from screen printing to digital print. All the major competitors, of which there is 1 or 2 in each state, have converted from large format screen printing to large format digital printing over the past few years. The change in manufacture has reduced costs for all printers while increasing margin. The cost to the client has reduced and customer service has increased. This niche business sold after an intense and highly successful marketing campaign that resulted in 64 qualified enquires and several offers on the table. An offer from Trade Player was eventually accepted. The sale was conducted by Business Broker Dianne Reynolds who, through using the proven Lloyds Brokers Business Sales Process, was able to achieve a pleasing result for both Vendor and Buyer.